Did you know that fines for violating hazardous and pharmaceutical waste regulations could result in fines of up to $50,000 per day and up to 5 years in jail? 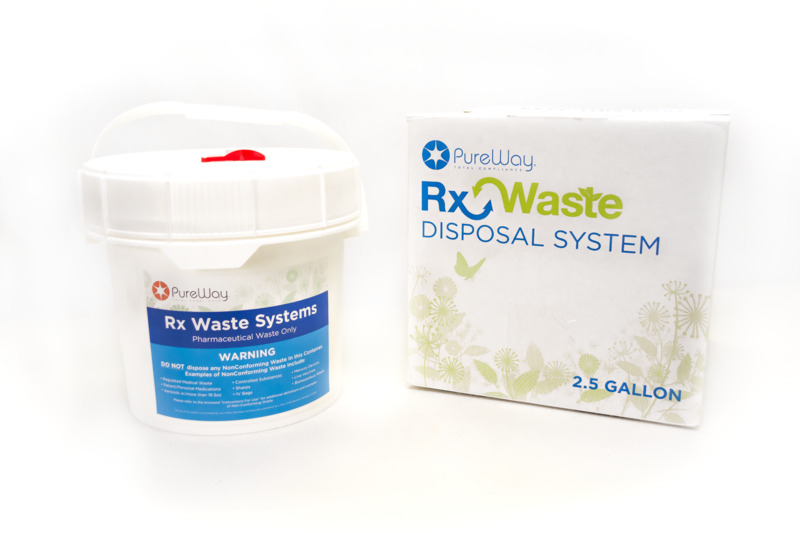 PureWay’s system will help your office maintain compliance and keep hazardous pharmaceutical waste our of landfills. Stay compliant with local and federal EPA regulations by properly disposing of your unused / unwanted pharmaceutical waste. Ideal for Very Small Quantity Generators (VSQG) of waste! PureWay systems come with a pre-paid UPS return shipping label, live email tracking updates and automatic electronic proof of destruction certificate. Dos and don’ts of Pharma waste. • Blister packs or pill bottles in direct contact with acutely hazardous waste drugs such as Coumadin, nicotine, and physostigmine. For DEA controlled substances, healthcare facilities must follow DEA requirements, and where applicable, local or state regulations. IMPORTANT! Pharmaceutical waste (e.g. partial vials, carpules, pills, etc) CANNOT be discarded in the trash or in bio-hazard containers with other red bag and sharps waste. Anything that contains pharmaceutical waste must be stored in a specifically-designated container for proper disposal. ATTENTION: Use of the PureWay Rx Waste System” unless a generator is exempt as a Very Small Quantity Generator (VSQG) is prohibited outside the continental US as well as the following states; AR, CA, CT, IL, ME, MASS, MN, NH, NY, PA, RI, VT, VA. The guidelines listed above are for non-controlled / non-hazardous pharmaceutical waste. Additional state or federal (DEA) regulations apply for the disposal of these types of waste. 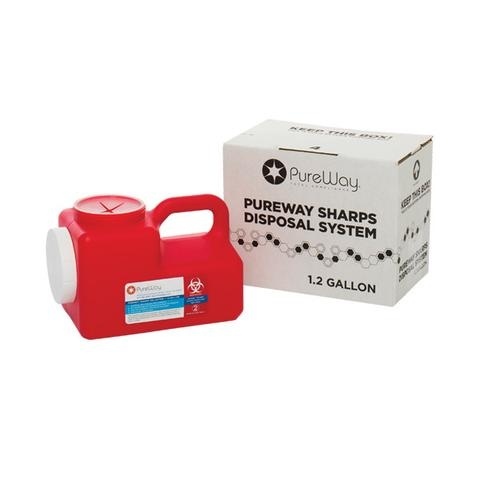 Please contact PureWay directly for disposal options available in your area. Need more information? Talk to a waste expert!